The principal, Chester Clem, is a native Floridian, who received both his undergraduate and law degree from the University of Florida. 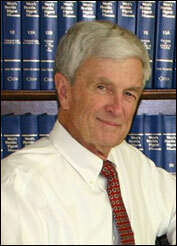 He has represented both Plaintiffs and Defendants in contract disputes, tort cases, personal injury and probate matters. Chester Clem is a former member of the House of Representatives. He has also served as Judge of the Small Claims Court and Assistant State Attorney in Indian River County. Mr. Clem currently represents the Town of Indian River Shores. He is active in many civic and service organizations. Mr Clem is a Past President of the Vero Beach - Treasure Coast Kiwanis Club.